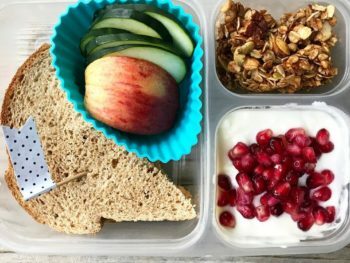 With the start of school, many parents are dealing with the packing of lunches every morning and having EASY school lunch ideas makes all of our morning go a lot smoother. Our school offers hot lunches but kiddos prefer to take their own everyday. And let’s face it, my oldest is 15 and at 6’3″, the hot school lunches never seem to be enough, coupled with the fact that they would spend so much money on ala-carte items to make up for it. School lunches were getting to be SO expensive for things that in my opinion wasn’t worth it. Buying, packing and getting lunches ready for the day can be a time-consuming task! 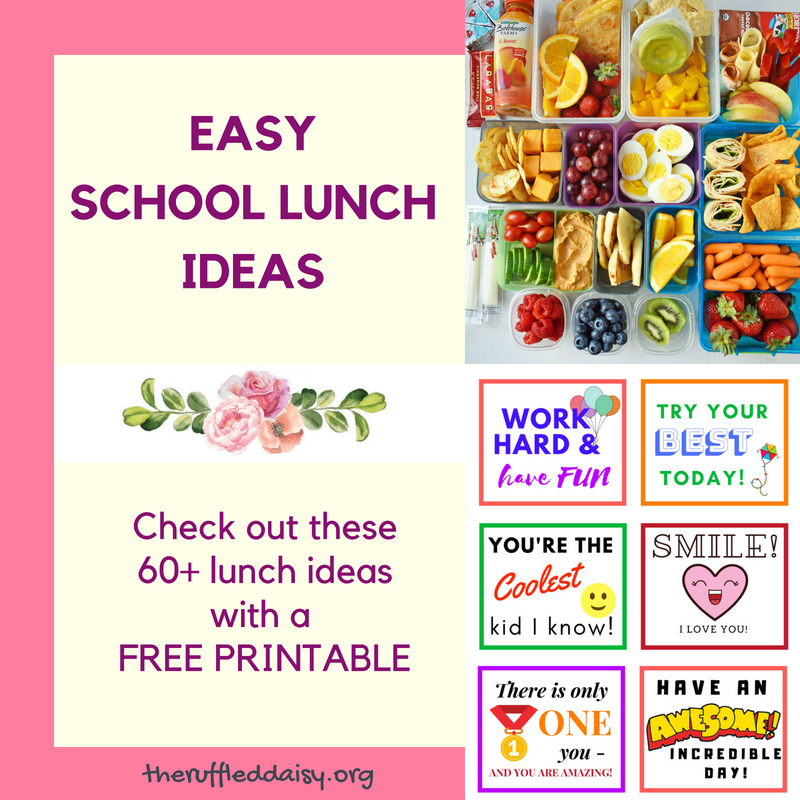 I’ve scoured the internet to bring you some of the best ideas out there for getting your kiddos the needed fuel they need to get through the rest of their day. 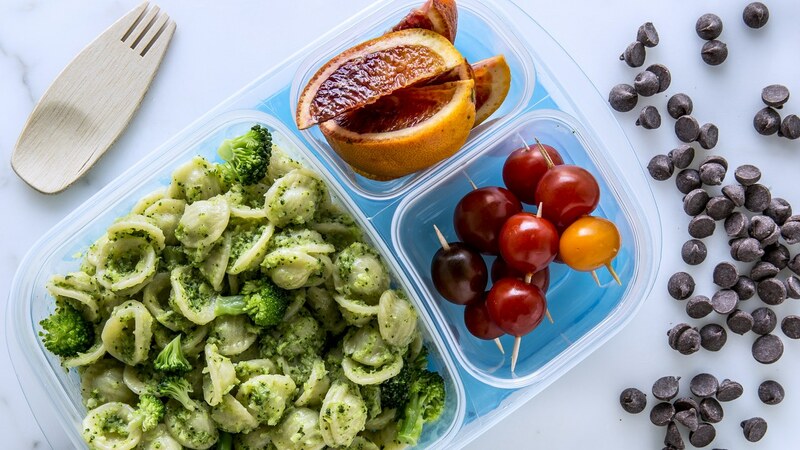 Here are some things to take the stress out of school lunches! GET THE KIDS INVOLVED with the shopping and packing – let them help you do the planning! When you do this, they can’t complain about what you packed them. Plus it gives them a sense of entitlement and encourages a lifelong skill of knowing how to pack a healthy lunch for many years to come! ORGANIZE – this will mean something different for every family! I tend to keep it pretty simple while others get color coordinated containers and have special spots in the refrigerator and pantry for LUNCH ONLY items. The key here is to doing what works for YOU – that’s the only way you will stick with it. A cool idea – use a shoe organizer on the inside of your pantry door! There are typically 30 slots in which you can pre-load all non-perishable items for the month! Everyday when it’s time to pack lunch, you take what’s in a slot and you’re done! Thinks granola bars, chips, fruit snacks, capri suns, raisins, nuts, etc! This is genius to whoever came up with this idea! PLAN AHEAD – this goes for menu shopping and packing! When you know what you are doing it makes the process much smoother. TIP: pack lunches the night before and leave everything in the refrigerator. In the morning rush you can just grab and go! No need of rushing to pack when in reality no one wants to be doing that along with all of the other morning activities. 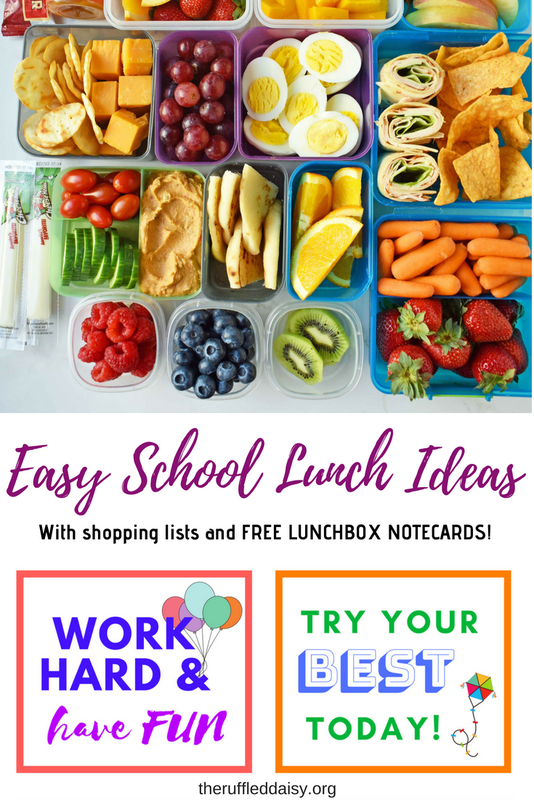 Here are some EASY school lunch ideas for you!! 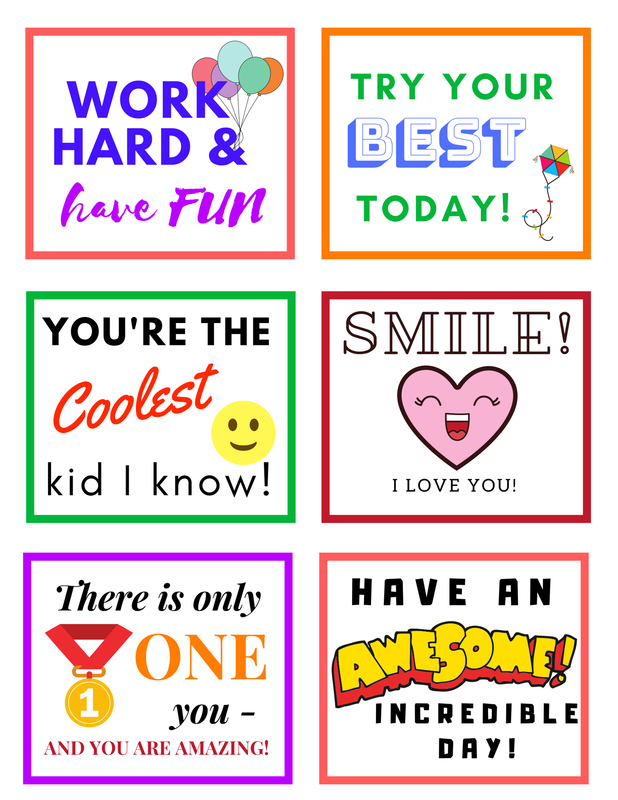 And at the end I’m sharing some FREE Printables making it easy for you to encourage and connect with your kiddo giving them the boost that they need throughout the day! Modern Honey gives you LOTS of options and breaks it all down by category – main meal, fruits and veggies, sides and snacks, and drinks! This list would also be great when planning your grocery list! And the best part? It’s simple everyday things that don’t take a ton of time to prep! 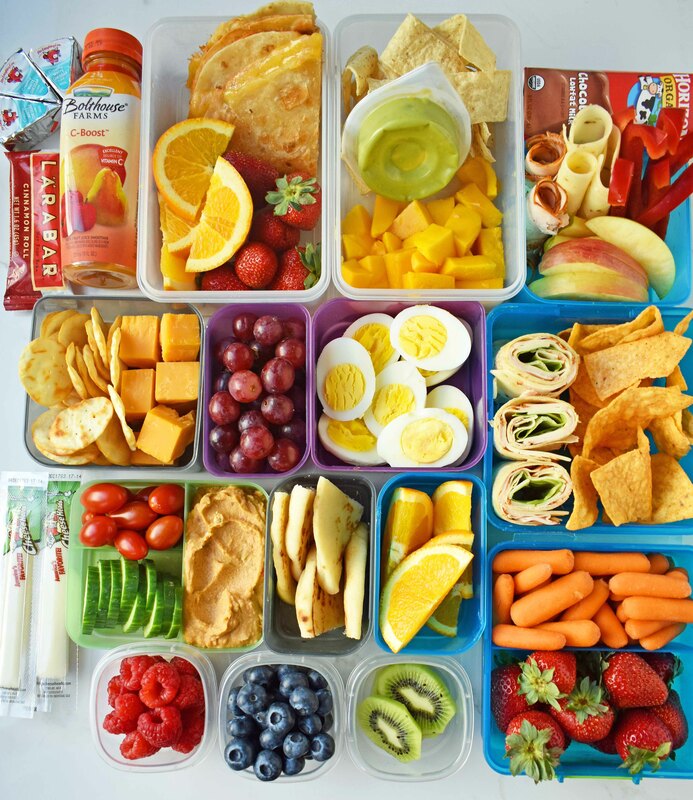 Natasha breaks down the anatomy of the DIY lunchable that is highly popular with kids nowadays! She is even able to introduce some WINNING combinations that are always a hit with her little’s! Danielle brings us over 30 non-sandwich ideas! Many of these will be familiar to you but maybe you never considered packing them in a school lunch! I can promise, your kid will be the envy of everyone at the lunch table. If you need some more variety in your planning, then Bon Appetit will be your game changer! If your kiddo likes trying a new variety of things like my oldest, there are ALOT of good ideas here. The Italian Tomato Hoagie looks divine! I know that one of my kids would HIGHLY appreciate that! School lunches don’t have to be BORING and the same thing day after day – believe me I have fallen into that rut too! I am DEFINITELY going to be incorporating some of these ideas in our weekly planning! What lunchbox isn’t complete without some ADORABLE LUNCH BOX notes! Sending a small note of encouragement is sometimes just the thing that your child needs to make it through the rest of the day! Let’s face it – there are lots of bullies that our children encounter everyday and a small encouraging note from you letting your child know that they are AMAZING can be enough to turn their whole day around! 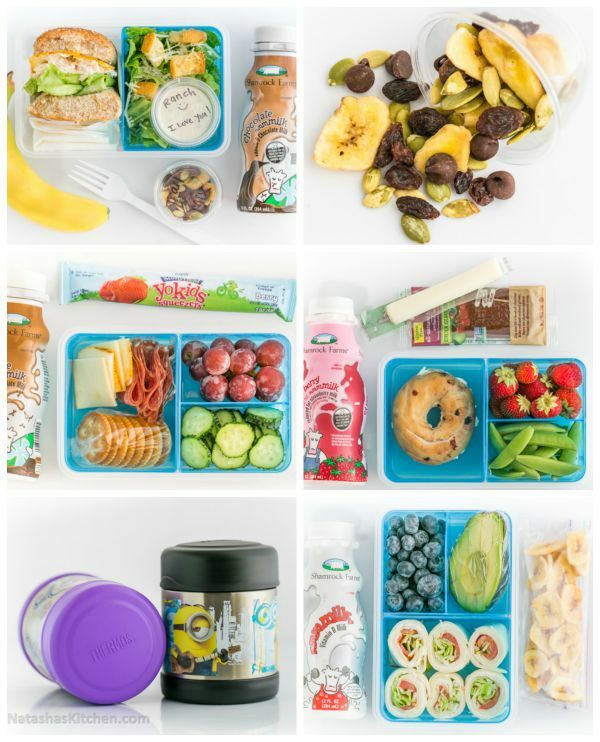 These easy school lunch ideas are perfect for anyone! I hope this year is amazing for you and your kiddos! I pray that they form lifelong friendships and follow all of the dreams that are in their hearts!! Don’t forget to print TWO of the notecards! One for your kiddo and one for them to give away! Let’s spread the kindness this year! I’d love for you to PIN this image and share it with all your momma friends that could use a little sanity saver!